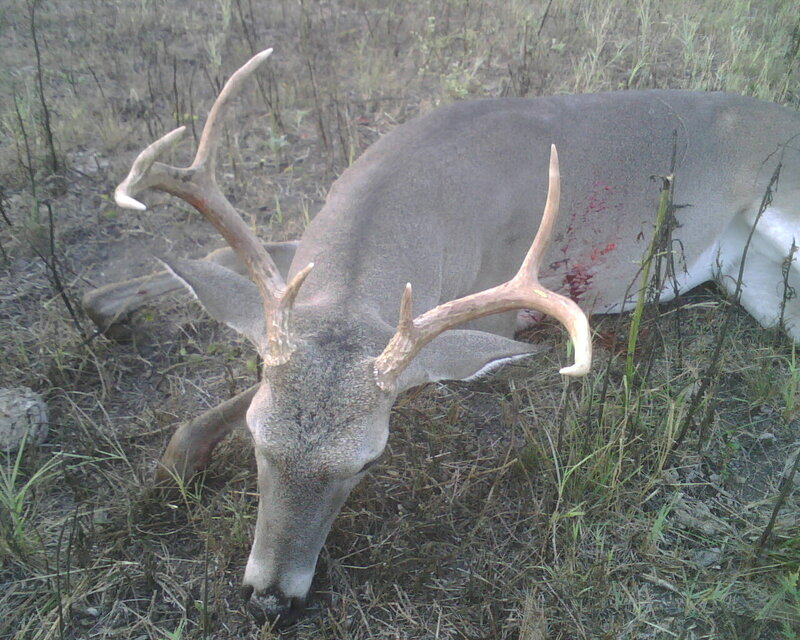 Deer season opened Saturday, November 1. On Friday, October 31, I woke up in West Virginia, drove to Pittsburgh, flew to Houston, the tram broke down so I missed my connection to Austin, made the next one, got home, had dinner with Kel, loaded up and headed south. Bright and early Saturday morning I was in my blind in heavy fog. I could see movement but had no idea what it was (buck/doe/pig). Once the fog lifted I was surprised to count 6 bucks loitering around my area. We have a habit of nicknaming animals…and most of this group I’ve seen while bow hunting or on various scouting cameras we have. They are, in no particular order, mutant, tall 8, small 8, old seven, and two spikes. I watched them through binoculars for about 20 minutes trying to decide if the tall 8 was “legal” because he is absolutely gorgeous. Deciding that if I had to look that closely…he probably needed to wait another year or so I set my sights on old 7. The a-bolt did it’s work and now the Burrus’ have meat for the winter!